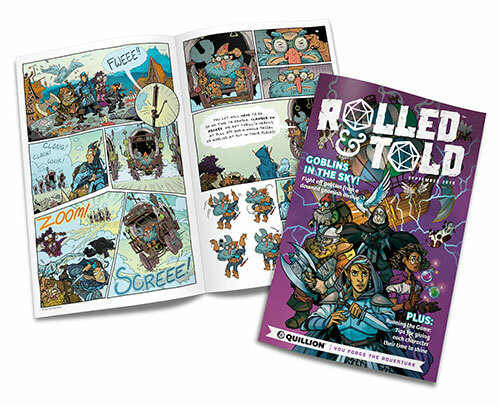 We’re celebrating Halloween in Rolled & Told! 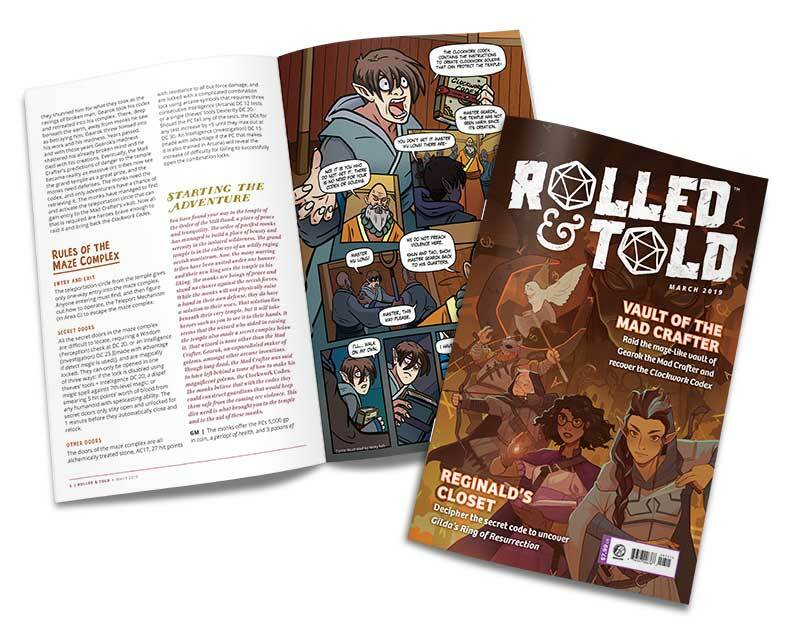 Writers E.L. Thomas and Anne Toole go grim and give you all the shambling, undead horror you and your group of wild and ready roleplayers can handle! 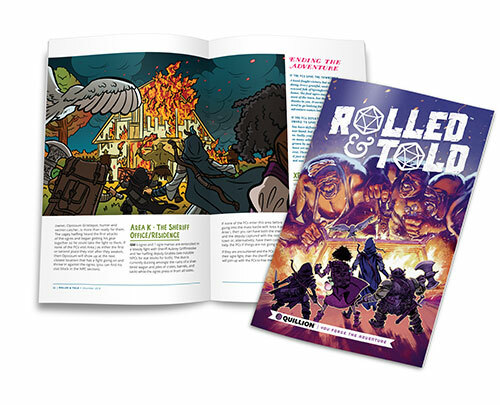 In our full adventure, a strange malady grips a small farming village; the last thing they need is a horde of undead rising from all around them. Your player characters will get to literally reap what has been sown! Going back to school can be hectic! 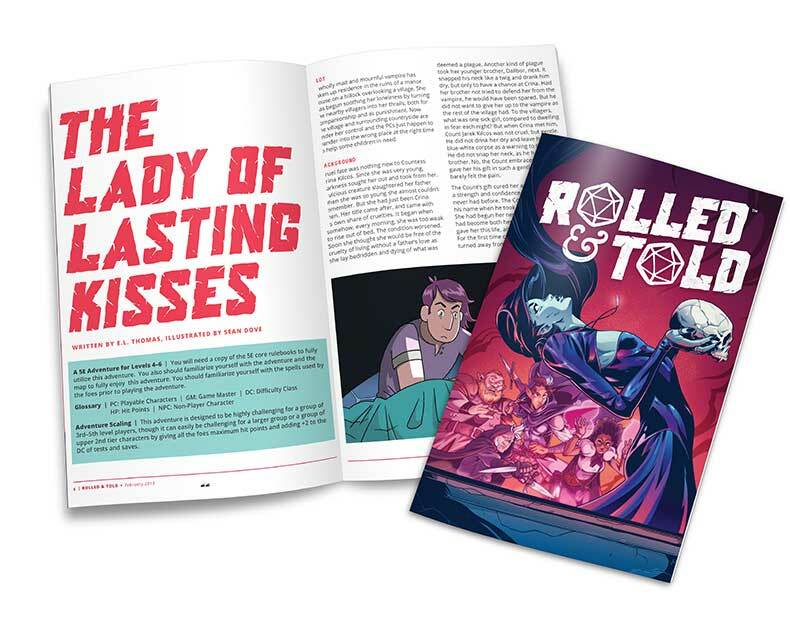 When a school for wizards existing in an extra-dimensional space is quickly collapsing and taking a class of apprentices along with it, hectic doesn’t quite cover it! 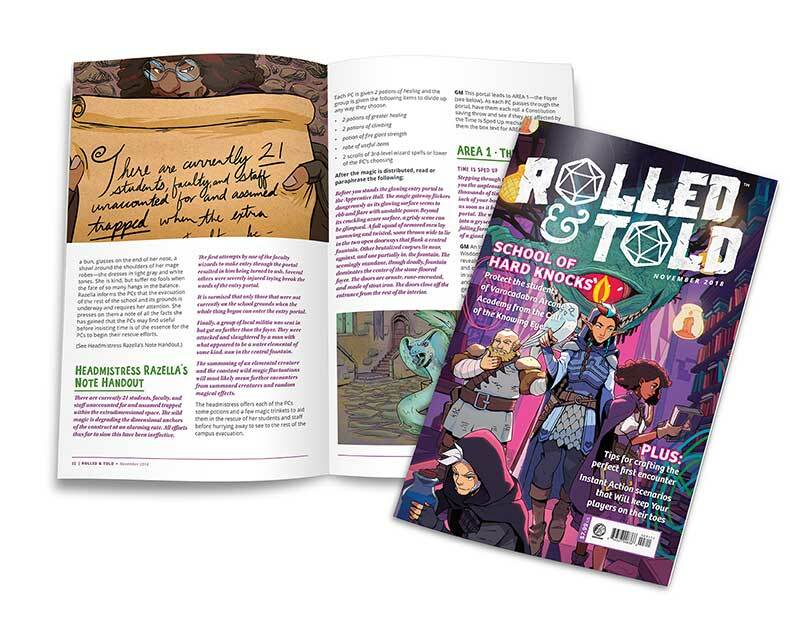 So, bring your favorite group of players and battle against time, warped magic, and whatever nefarious evil is about to make School Out (Forever). The theme for January’s issue is WINTER! Play two chilling adventures where there are far greater dangers for your party than frostbite. 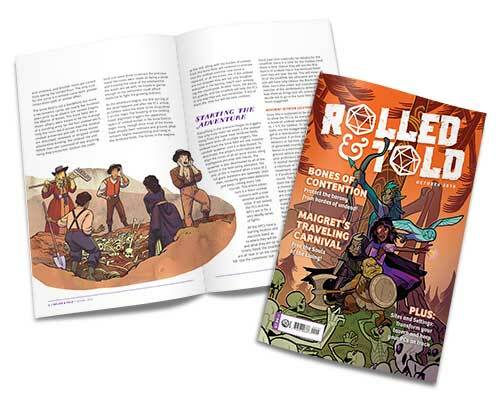 Learn new tricks on using music in your adventures, read all about how not to railroad your campaigns, and more! A heartsick and mournful vampire has taken up residence in a hilly village, and she soothes her loneliness by turning villagers into her thralls! 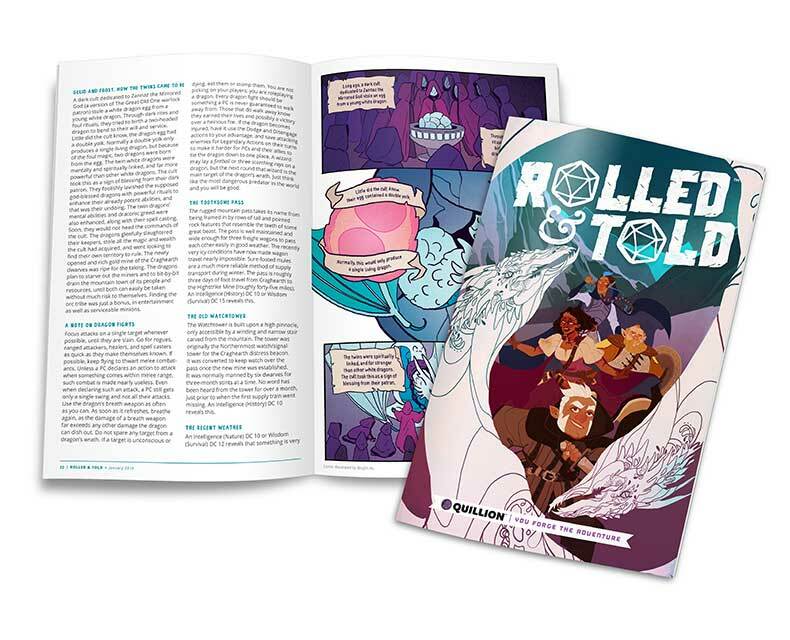 The Valentine’s Day issue of Rolled & Told gives you two adventures to pluck your heartstrings and articles on using romance as a hook for adventuring, imaginative nighttime encounters,and more!